Gettysburg Licensed Battlefield Guide Stuart Dempsey is the host for our series on the Eleventh Corps at Gettysburg. He is standing southwest of the monument to the 45th New York Infantry Regiment. This view was taken facing northeast at approximately 3:30 PM on Sunday, August 16, 2009. In today’s post, Stuart Dempsey shows us the advance of four companies of the 45th New York Infantry Regiment towards the McClean Barn on July 1, 1863. 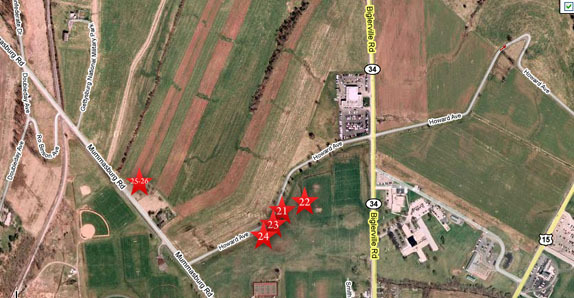 This map shows the location of where our Eleventh Corps at Gettysburg videos were produced. Videos #1-#20 were shown on other maps on our previous posts. Video #21 was taken by the marker for the Third Division of the Eleventh Corps. 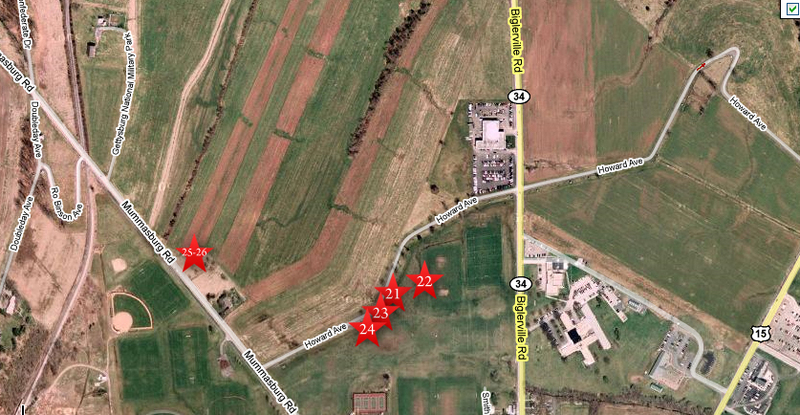 Video #22 was taken in the fields southeast of West Howard Avenue. Video #23 was taken near the monument to the 45th New York Infantry Regiment. Video #24 was taken southwest of the monument to the 45th New York Infantry Regiment. Videos #25-#26 were taken in the replanted Heagy Orchard near the Mummasburg Road. This map was created facing north at approximately 11:30 AM on Wednesday, August 19, 2009. 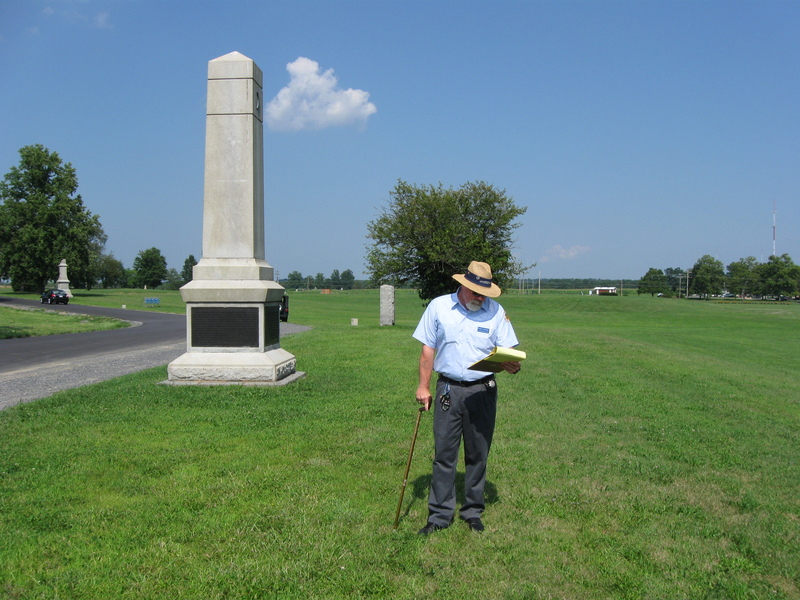 In Video #24 (Videos #1-#23 were shown in our previous Eleventh Corps posts) Gettysburg Licensed Battlefield Guide Stuart Dempsey is standing southwest of the monument to the 45th New York Infantry Regiment on West Howard Avenue. He explains how four companies of the 45th New York under Captain Francis Irsch were sent towards the McClean Farm to help protect the right flank of the First Corps. This view was taken facing east to northwest at approximately 3:30 PM on Sunday, August 16, 2009. 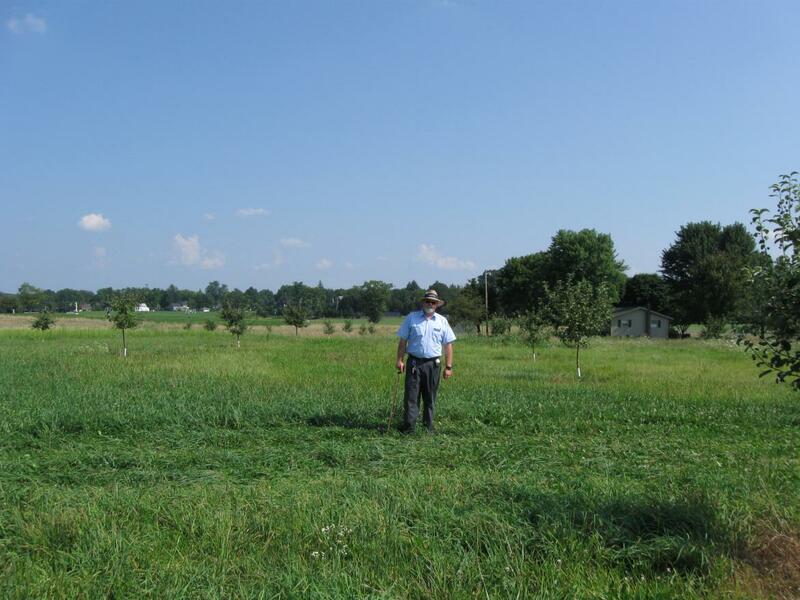 Licensed Battlefield Guide Stuart Dempsey is standing in the replanted Heagy Orchard along the Mummasburg Road. This view was taken facing southeast at approximately 3:30 PM on Sunday, August 16, 2009. The monument to the 45th New York on West Howard Avenue is visible in the left background. This view was taken facing southeast at approximately 3:30 PM on Sunday, August 16, 2009. The site of the Heagy House (not the structure now occupying the site) is in the right background. This view was taken facing southeast at approximately 3:30 PM on Sunday, August 16, 2009. 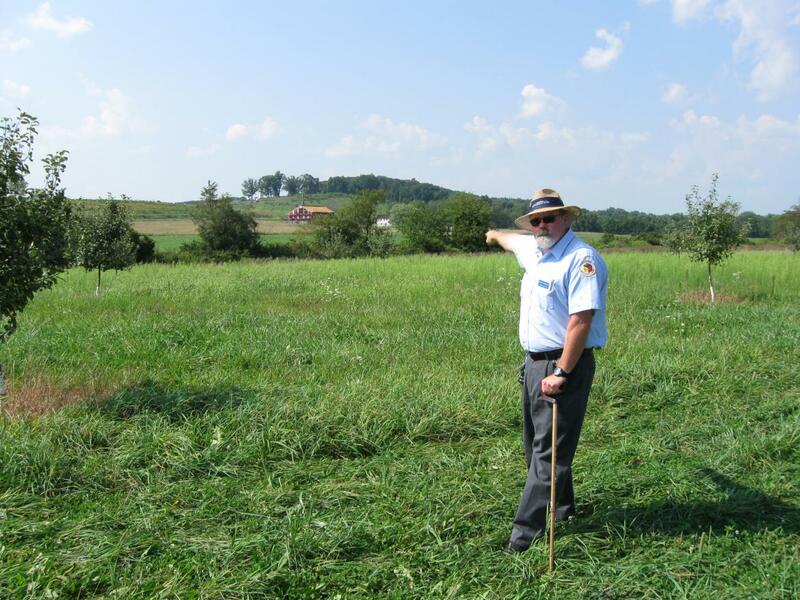 In Video #25 Licensed Battlefield Guide Stuart Dempsey is standing in the recreated Heagy Orchard northwest of the Mummasburg Road. 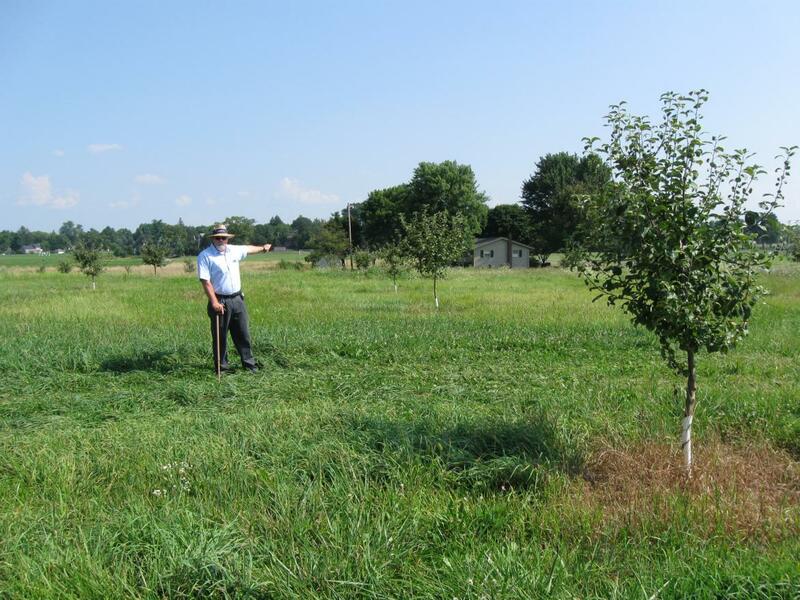 He shows the ground covered by the four companies of the 45th New York under Captain Francis Irsch as they advanced towards the McClean Farm and their first contact with Confederates in the Heagy Orchard. This view was taken facing southeast to northwest at approximately 3:30 PM on Sunday, August 16, 2009. 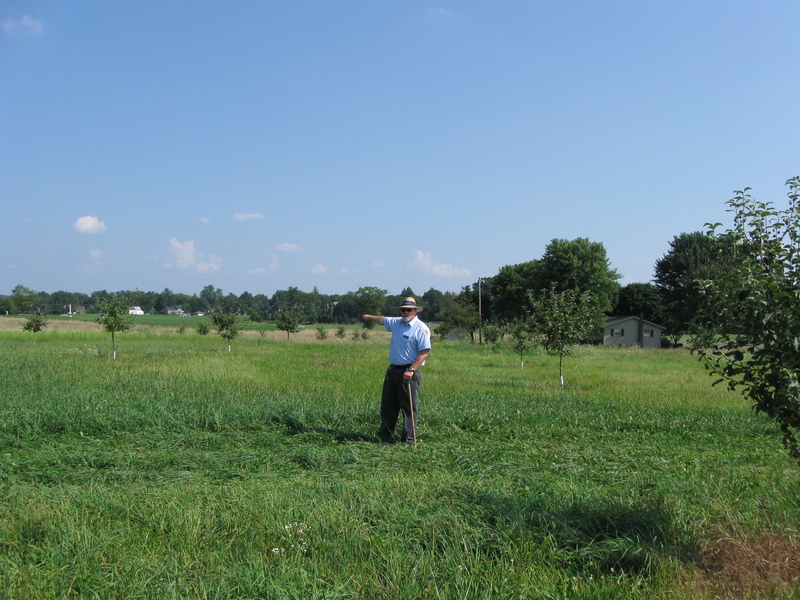 Stuart Dempsey is standing in the Heagy Orchard and is pointing to the McClean Farm buildings on the slope of Oak Hill. This view was taken facing northwest at approximately 3:30 PM on Sunday, August 16, 2009. In Video #26 Stuart Dempsey is still standing in the recreated Heagy Orchard northwest of the Mummasburg Road. He shows how the rest of the 45th New York and Dilger’s Ohio Battery came up to support the four companies under Captain Francis Irsch as they advanced towards the McClean Farm. This view was taken facing southeast to northwest to southeast at approximately 3:30 PM on Sunday, August 16, 2009.